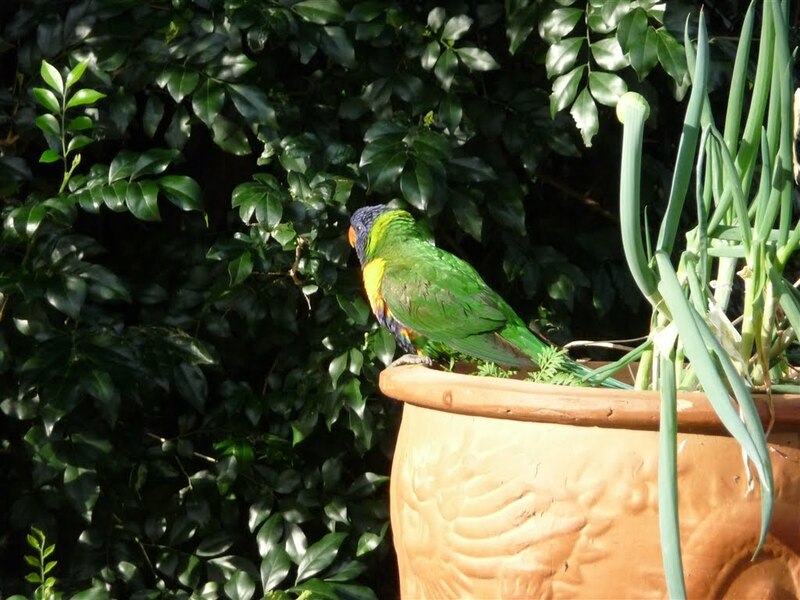 After we had picked our cherry tomatoes and we were attempting to water the garden with a leaking watering can a rainbow lorikeet flew in low and landed on a pot plant. Have you ever tried to fill up and use leaking watering can with two small helpers? That is six hands holding two handles and water pouring out in every direction. As the adult I am suppose to have arms like the Hulk and a spine made of steal, as I manoeuvre like Lofty the Crane. Lucky for me there was no one around to take photos. Between getting my shoes filled up with water and the flowered being stomped on, I felt swoosh and thought that the plovers’ had come for a visit. 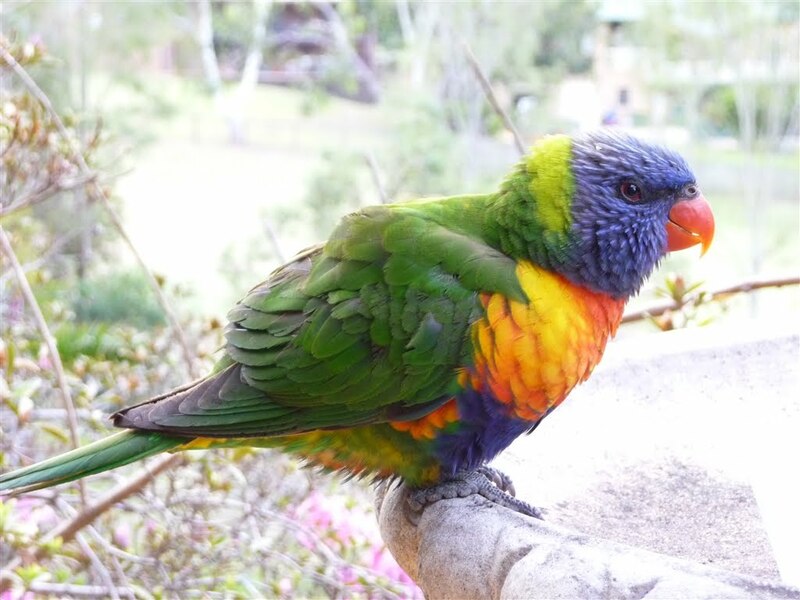 After the three of us recovered from ducking and surveyed our surrounding area we discovered that a rainbow lorikeet was very close by. 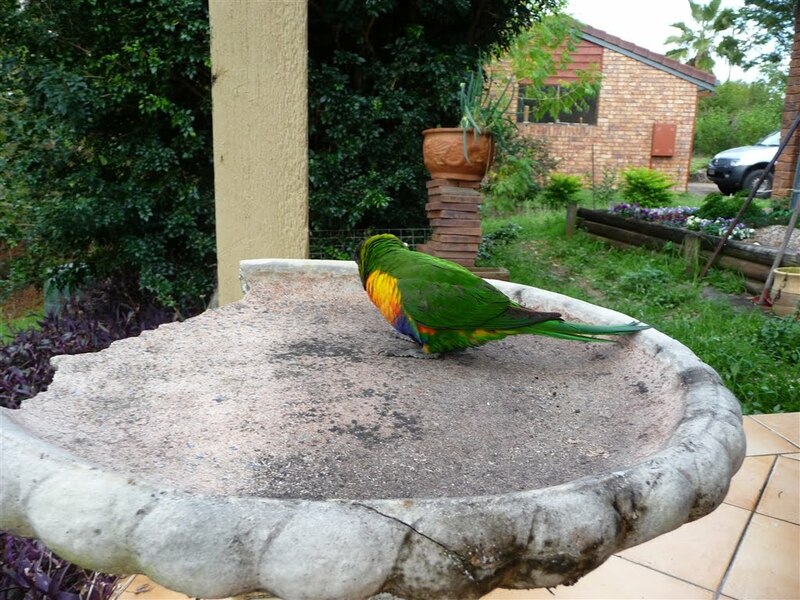 We wondered if the bird was lost because the wild parrots in our area don’t stop by at our house. My favourite son’s primal reaction is to chase all things feathery and I had to hold him back for the first minute. My children discovered last spring that the pair of plovers in our backyard are very protective of their turf. He still talks about his sisters blood curling screams as the male bird chased them back in doors. 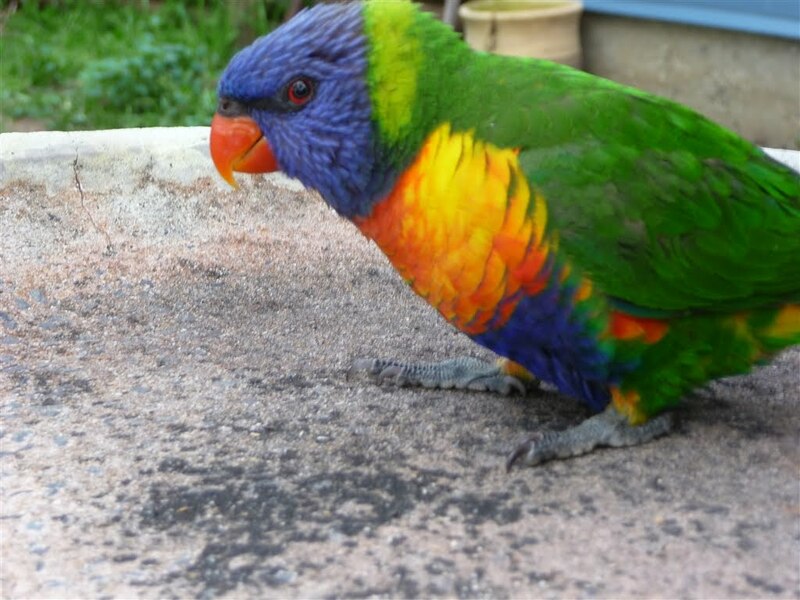 After a minute of observation the children and I forgot about the lorikeet and went about our gardening until my favourite daughter tripped over and skinned her knee and was crying up a storm. 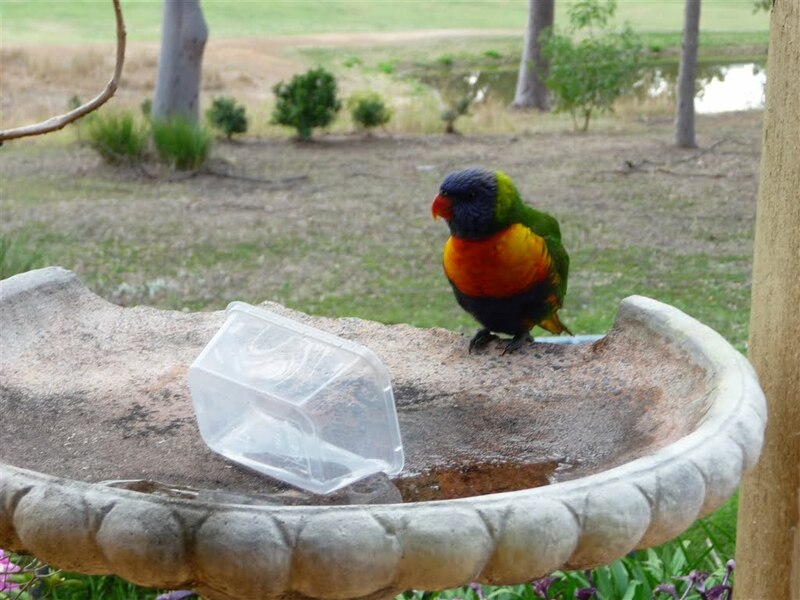 After the knee had been iced, the tears wiped away and hurt feeling soothed we noticed that the lorikeet had moved closer and was now sitting on our dry bird bath. 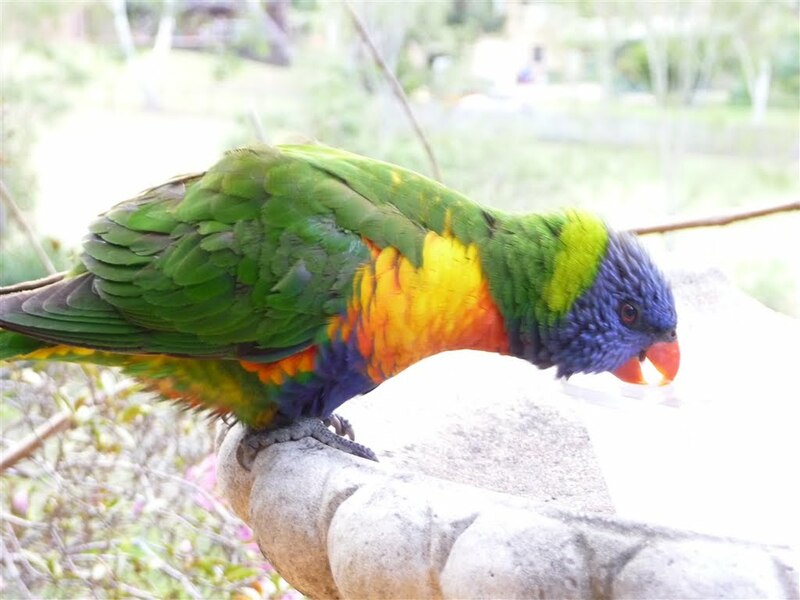 My children suggested that the bird was thirst and hungry, we should give it some food and water. 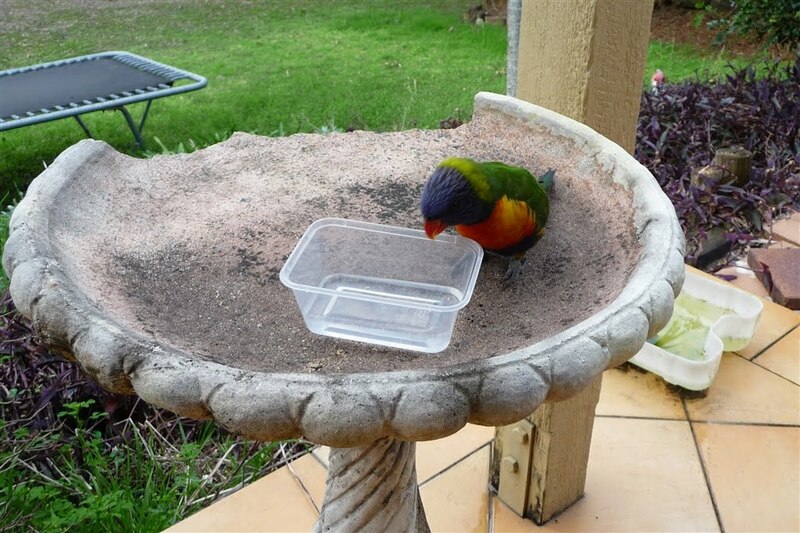 Reluctantly I agreed to give the bird some water, totally convinced that the moment I got within one metre, it would fly away. 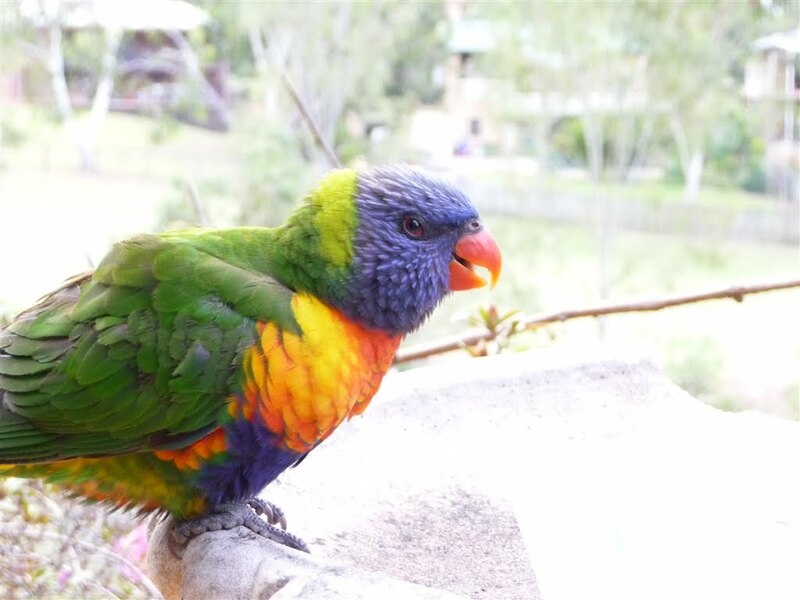 But my instincts had kick in by now because if this bird was not like any other lorikeet, it should have flown away at the commotion of my daughters crying. Gingerly I placed the small dish of water in front of the bird. 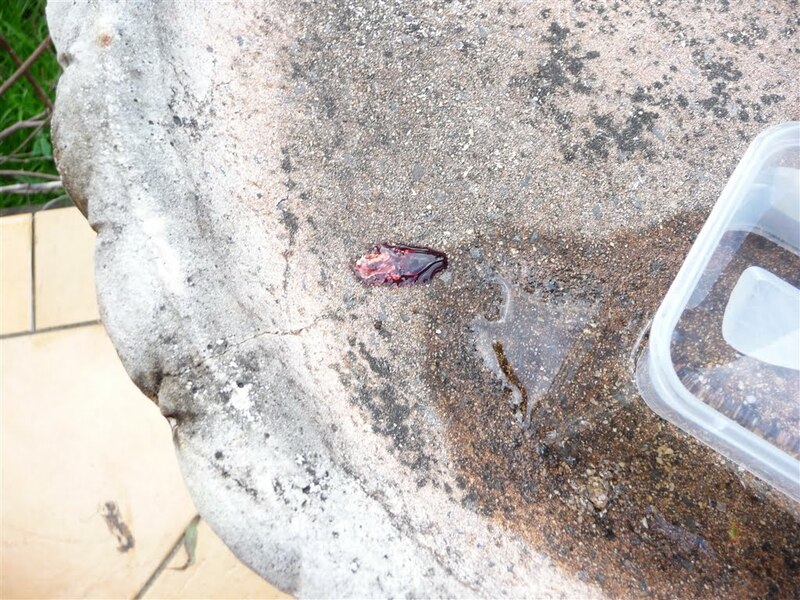 It drank the water like there was no tomorrow and we watched fascinated as its little tongue darted in and out. 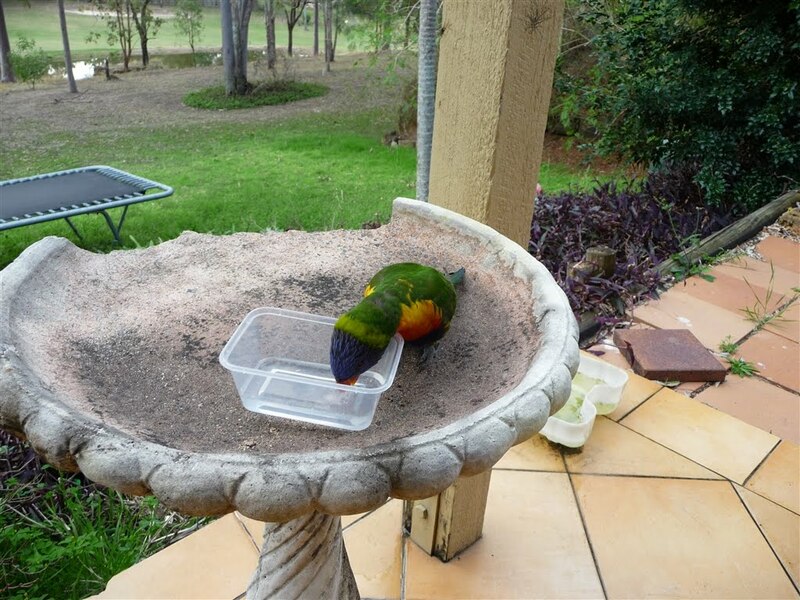 Then it tipped over the water container and did a poop. Unfortunately the poop was all blood. Oh I hummed and harhed about what to do next. I knew that this little bird was in trouble. The children wanted to give it some food, which they did and it flew out into our hedge, not far away. Next I phoned Wildlife Warriors a not-for-profit group set up by Steve Irwin that rescues native wildlife to see what they suggested. I was referred to a local Wildlife Care Group that asked if I could take the injured bird to a local vet. Now here is the question, what would have you done? 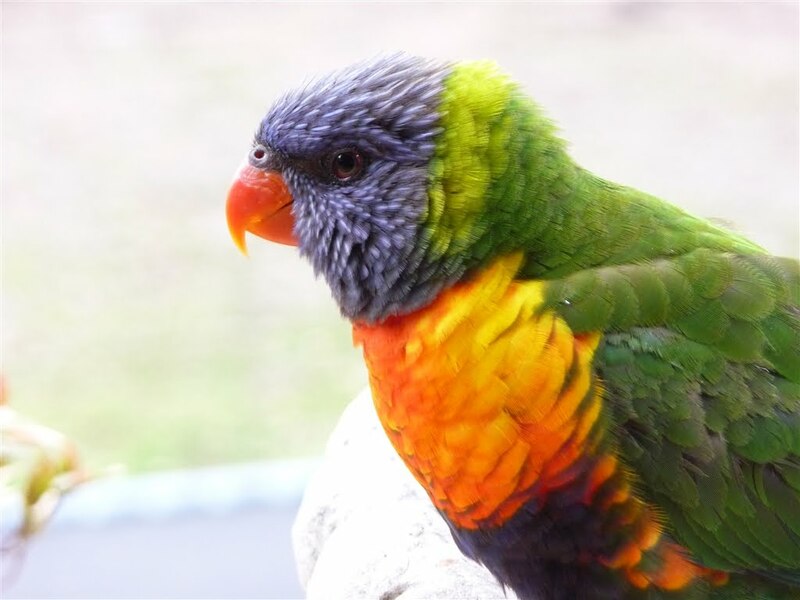 What is the life value of wild rainbow lorikeet? How much effort should I go to in helping the bird? How much help would have you gone to? Llife value was a currency I learnt growing up, that cattle are valuable because each beast represent money when they are sold at an auction. A good working cattle dog was worth more money than a cattle dog that chased kangaroos all day. A horse that had good breeding was worth money while a brumby that was considered a pest with no value and needed to be destroyed. There were animals that held no value at all and if they were killed we were told to stop crying because it didn’t matter. 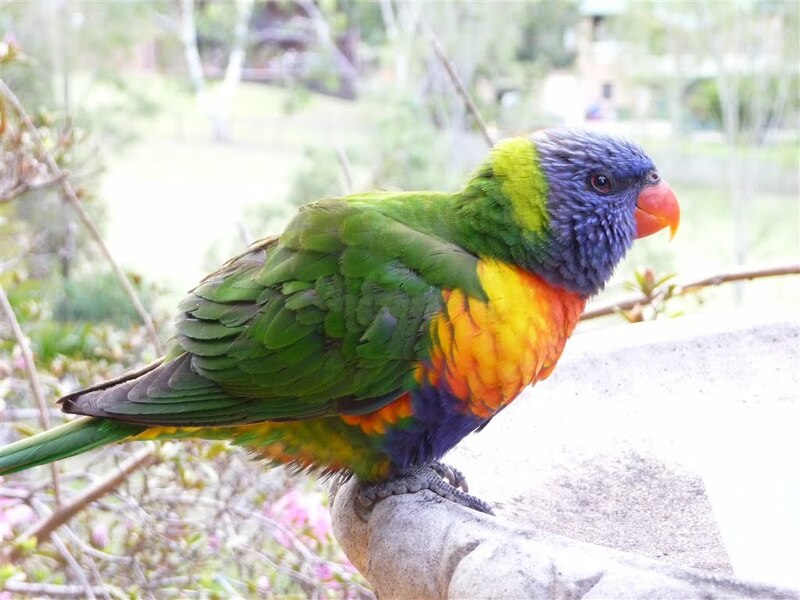 Here was my emotional dilemma, I knew what the likely outcome was for the lorikeet was fatal and should I give my kids false hope or be brutal about the facts of life. The fact is that if there were any vets available on a Sunday afternoon the chances that they would be willing help this little guy were extremely slim. You see my children saw the life value of this wild native bird was just as valuable as a well trained race horse or stud bull. They only cared about getting a sick bird help, so did I. 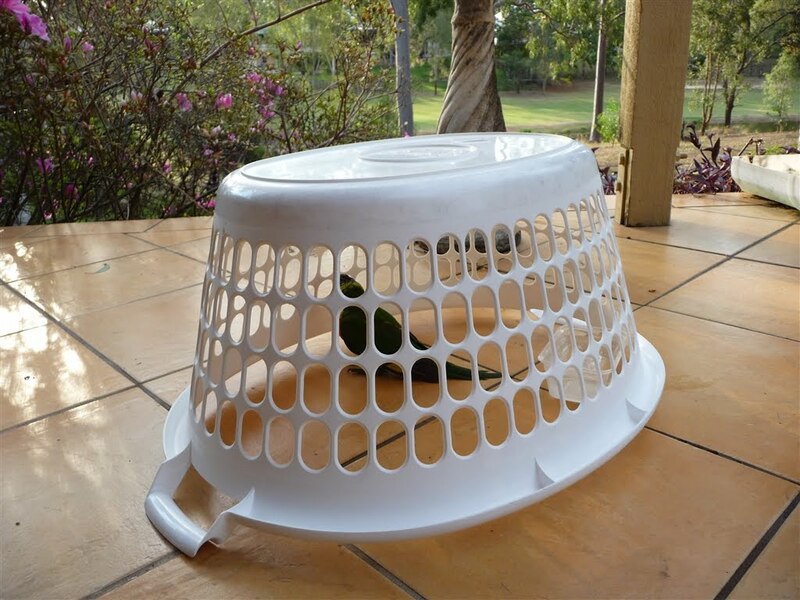 With calls coming in thick and fast from the Wildlife Warriors and Wildlife Carers, I was able to capture the bird and secure it under my washing basket. 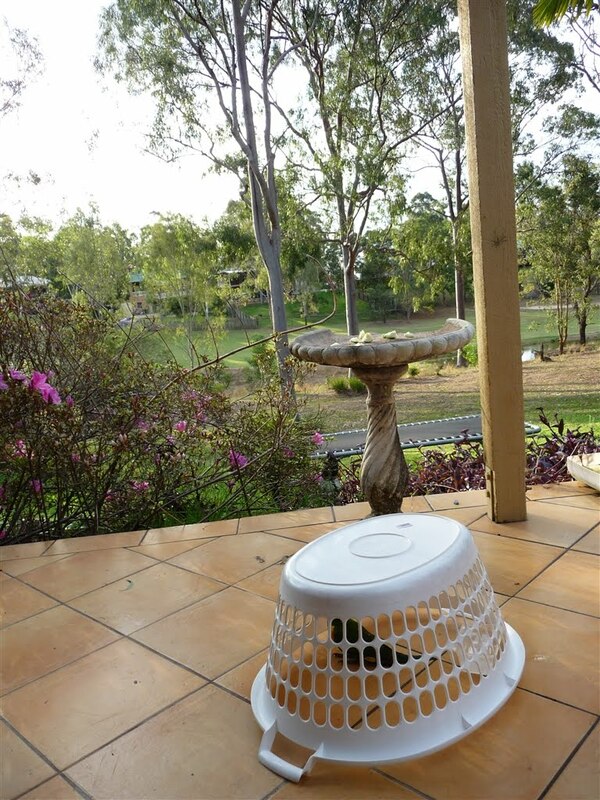 It was during the time I was stalking the bird trying to capture it that I told my children that they need to be extra quiet because it meant life or death for the poor little bird and I have never had a quieter house. My sons confessed later that they were peeking out from underneath the blinds the whole time watching me, throw a towel over the bird and grab it wearing gardening gloves. As I was on the phone constantly with the Wildlife Carers trying to find at vet that was open on a Sunday afternoon my favourite son was on my computer googling anything vet related, cause he wanted to help out too. My daughter sat and patted our dog Missy. By late afternoon I had found a vet that required driving 50 minutes away, so I transferred the bird into a box lined with an old, clean shirt, packed everyone into the car with DS’s and drove saying a little prayer that we wouldn’t be turned away. As we dropped off the bird my son settled himself down onto the waiting room chair of the veterinary clinic. 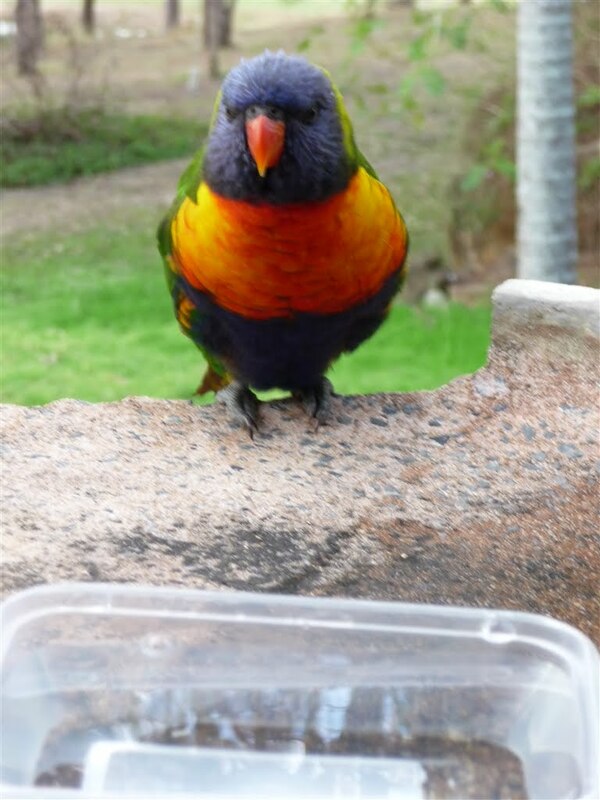 I asked him what he was doing and the reply melted my heart, “I’m waiting for the lorikeet”. His thoughts were that the bird was going to be seen by a doctor, get some medicine and we were going to take it home with us. 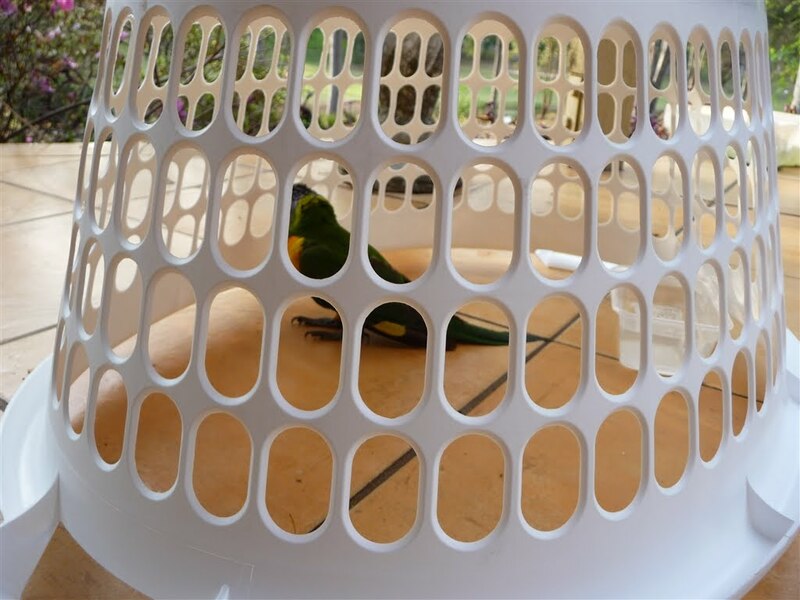 I told him that the lorikeet was too sick and need to stay overnight and someone will call us tomorrow about what made it sick and if it got better, it would go back into the wild. We got an ice cream from McDonald on the way home. 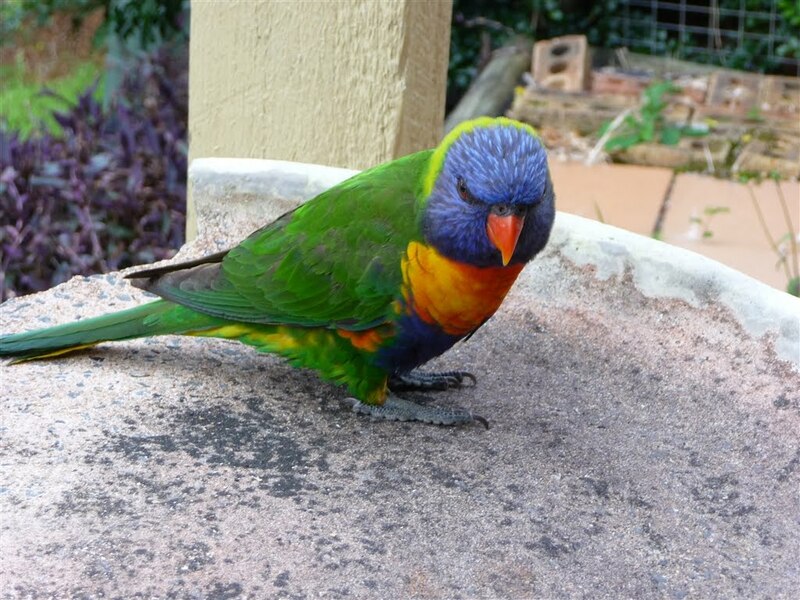 The lorikeet didn’t make it. Below are the two of the worst photos, don’t scroll down if you have a weak stomach. I have warned you, don’t scroll down. Stop now if you have a weak stomach or have just eaten food. Bloody bird poop. Yes that is a poop that came our of a bird which is all blood and I can safely say, bloody bird poop. Bird bite. 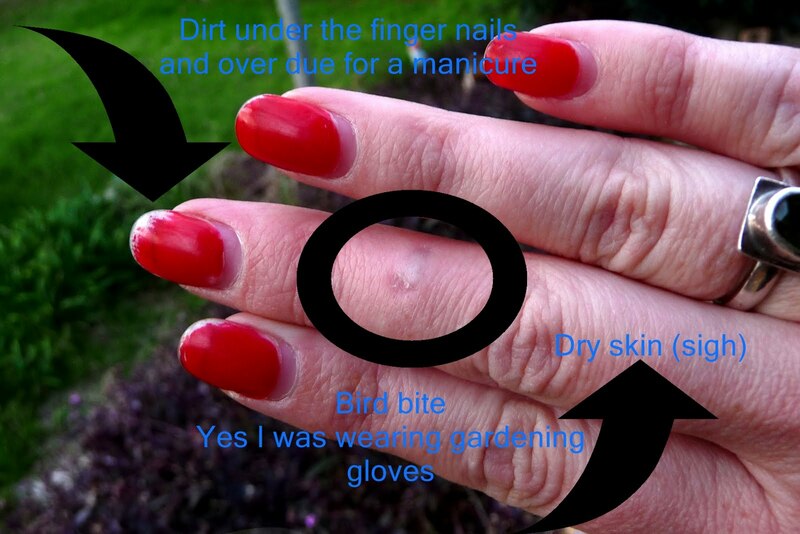 Yes I can assure you that bird bites do really, really hurt even if you are wearing gardening gloves. Whats scary about that picture you might be asking? 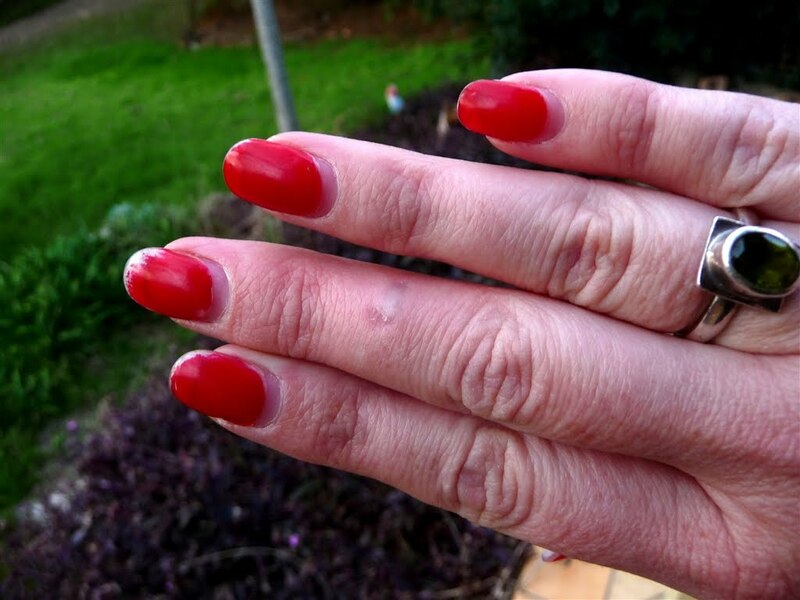 Oh the hands, I am showing you my wintered, unmanicured hands, the shame, oh the shame. So much for never eating McDonalds again I have very little will power.